For all he does, quietly seeking his face. Guiding each step of the way. to serve him every day. We will serve him with the highest of praise. We’ll be his witness, no matter the cost. We’ll be his beacon, his light to the lost. We will serve the Lord our God. 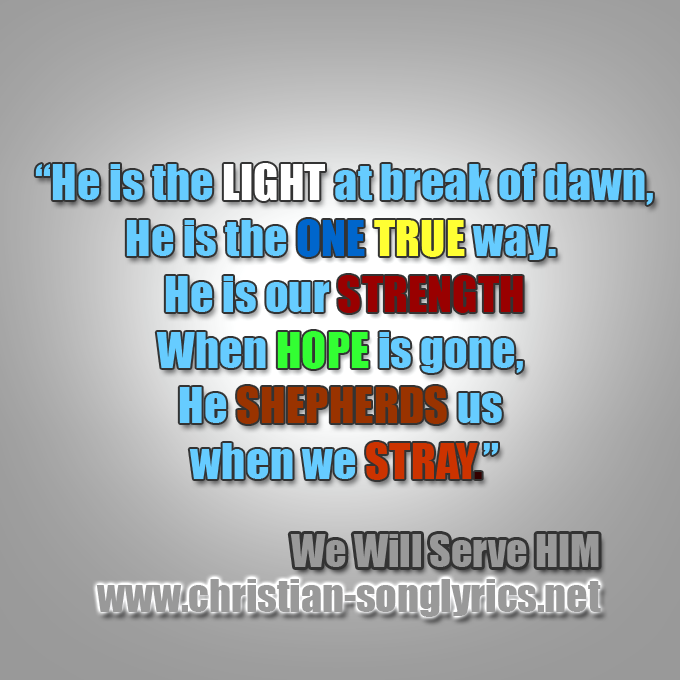 When hope is gone, he shepherds us when we stray. God gave to us his only son, the selfless sacrifice. How can we pay for all he’s done, when Jesus paid the price? We’ll be his beacon, his fight to the lost. the rest of our days.